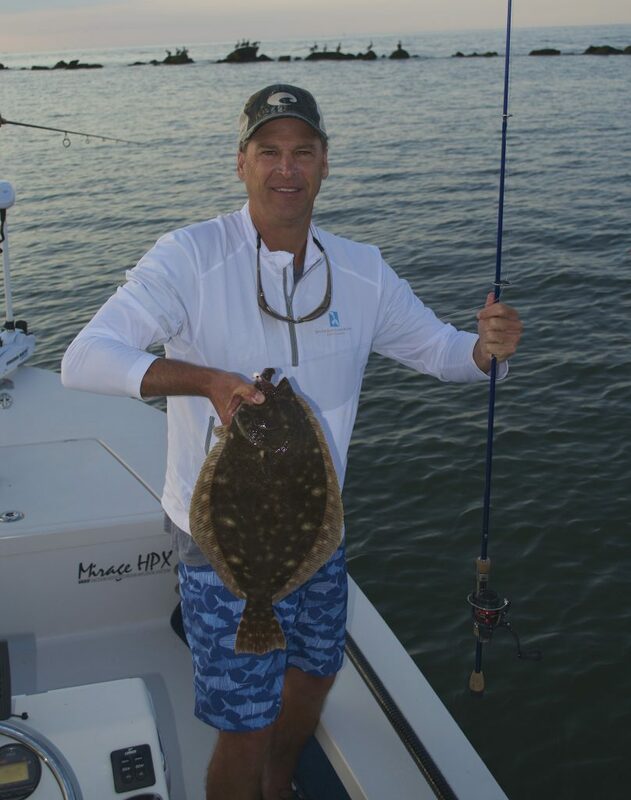 Flounder Fishing Pawleys Island is a favorite pastime! These funny looking flat fish begin moving from near by reefs into tidal creeks as the water warms through spring. 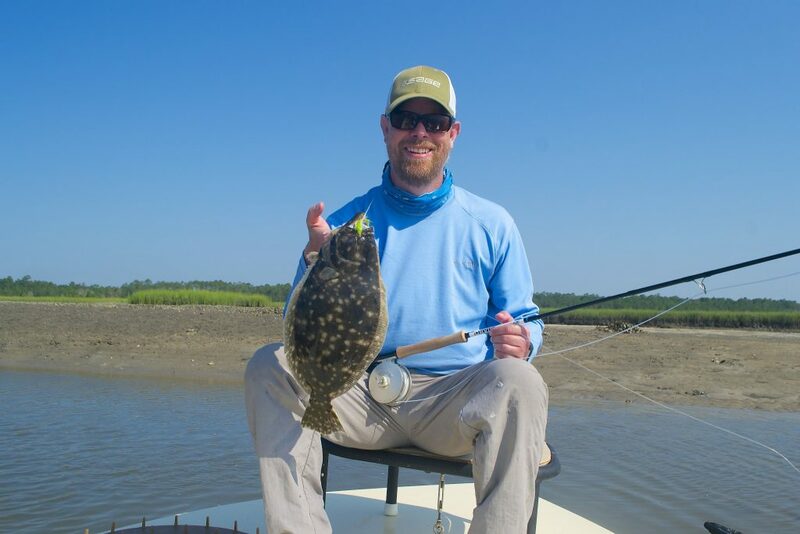 Pawleys Island Flounder will thrive in the creeks and inlet until fall when the water begins to cool. Flounder are ambush predators and often use creek mouths, oyster rakes and depressions as ambush points on rising and falling tides. Laying on the bottom and using there camouflage to ambush shrimp, mud minnows and finger mullet. 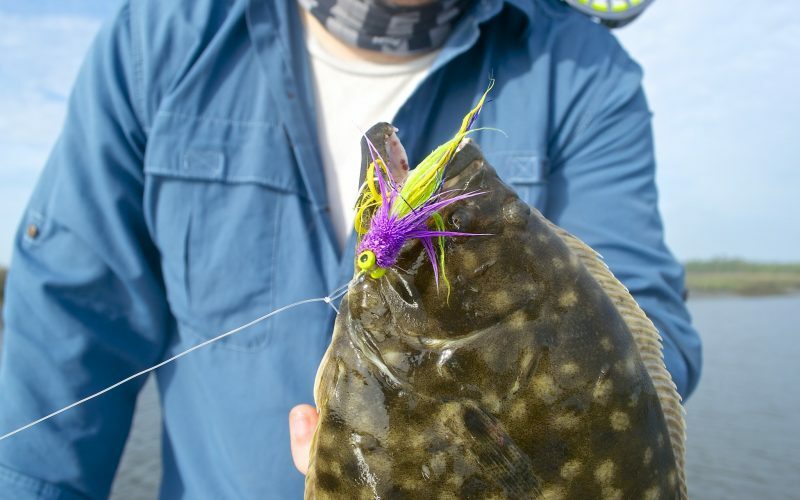 Most Flounder fishermen I know prefer to catch flounder slow trolling with live baits. Mud minnows and finger mullet are great choices fishing alongside the rock jetties on the North Side of the Island. In addition to trolling, fan casting creek mouths and docks can be very effective. North and South Inlets are great areas to target flounder as they like the high devolved oxygen of the inlets. For casting I prefer a spinning rod. 7’6 light to medium action paired with a 3000 size reel loaded with 15 pound braided line. From the braid I use 20 pound fluorocarbon leader tied using a uni to uni knot. From my leader I tie a 1/4 oz eye strike JIG HEAD using a loop knot. The chartreuse color jig rigged with a 3″ gulp swimming mullet is my favorite combination for Pawleys Island Flounder. 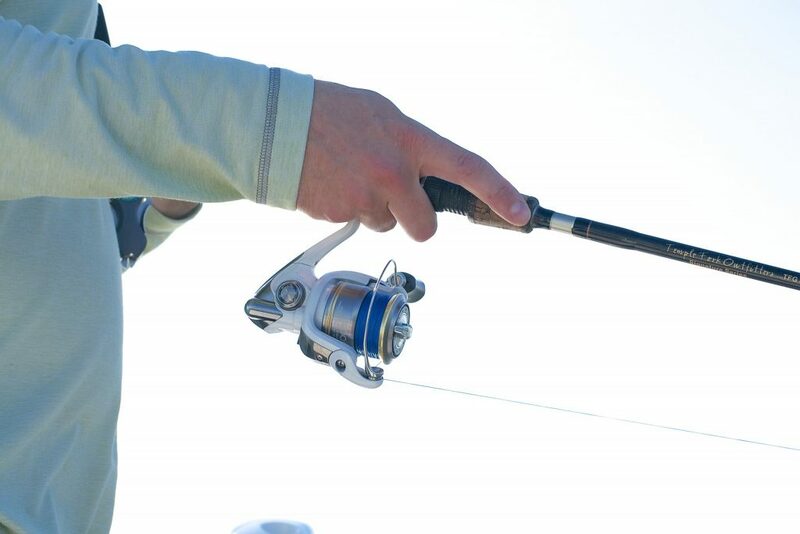 Casting deep into a creek mouth or beneath a dock and slowly dragging and popping the bait along the bottom . If the current and tide are moving hard I’ll change to a heavier jig and fish slow. Fly rods from 7 – 8 weight is your best choice. Reels loaded with floating or sinking lines, sinking being the preferred for bottom dwellers like Flounder. If you don’t want to invest a lot of money in a full sinking line take a look at Rio’s Versa Leader . These leaders can be purchased for under $12. These leaders offer a lot of versatility with the simple loop to loop connection. The versa leader has a PVC coating that adds weight. It’s offered in a 1.5 – 7 inch per second sink rate . The 3.9 and 5.6 are my top choices for flounder and Sea Trout fishing. Fly selection is simple. Bait fish patterns like the Clouser Minnows tied in chartreuse. 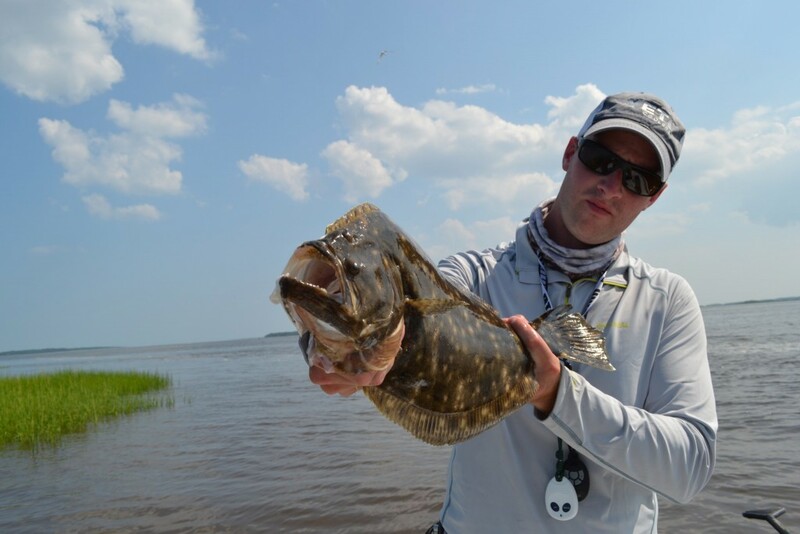 Here’s a link of my Top Picks for Fly Fishing Saltwater species like Flounder. 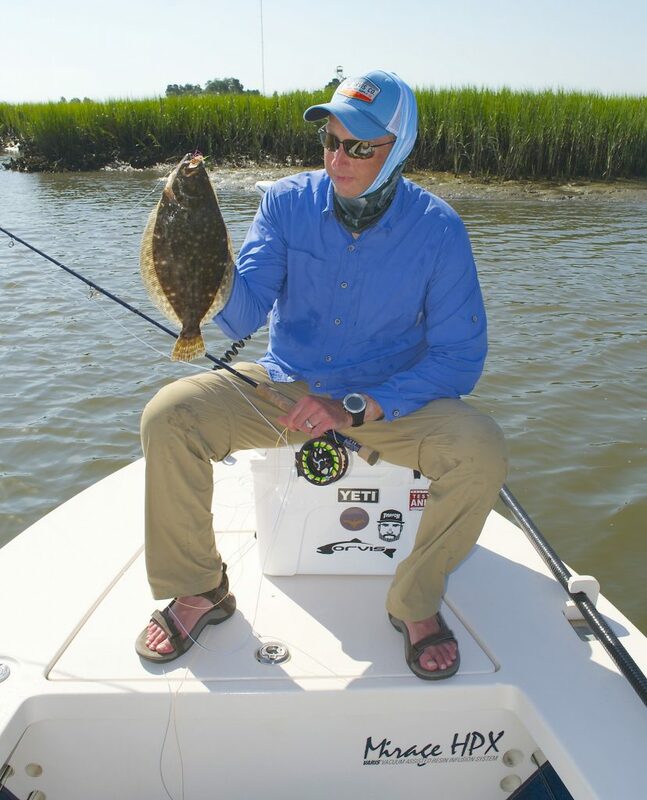 Regardless of the method you choose Flounder Fishing Pawleys Island can loads of fun. Fishing from shore , boat or pier come spring I hope to see you out there!